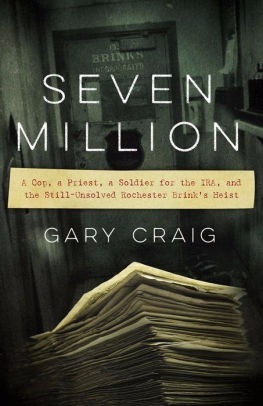 Gary Craig is the author of "Seven Million." He has won more than two dozen regional, state and national awards for writing and investigative reporting, and has been reporting on the Brink's heist and its alleged IRA connections since 1993. 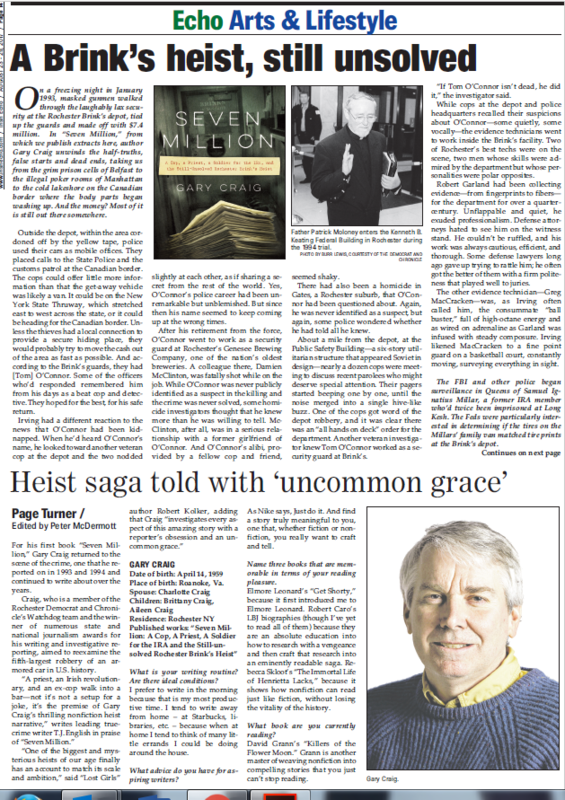 One of the great modern mysteries of Rochester crime history — the $7 million Brink's depot robbery of 1993 — is the subject of a fascinating new book by Gary Craig, a fine reporter and writer for this very newspaper. Much of his background, of course, comes from years of covering and writing about the incident in these pages. "Craig writes with a newsman's sharp eye for interesting detail, and also with a mystery writer's knack for ending each chapter with a line that leaves readers anxious to move on to the next page."